Composed by Randall Hartsell. Piano Suite; Piano Supplemental. Recital Suite Series. Form: Suite. Sheet. 12 pages. Alfred Music #00-23266. Published by Alfred Music (AP.23266). 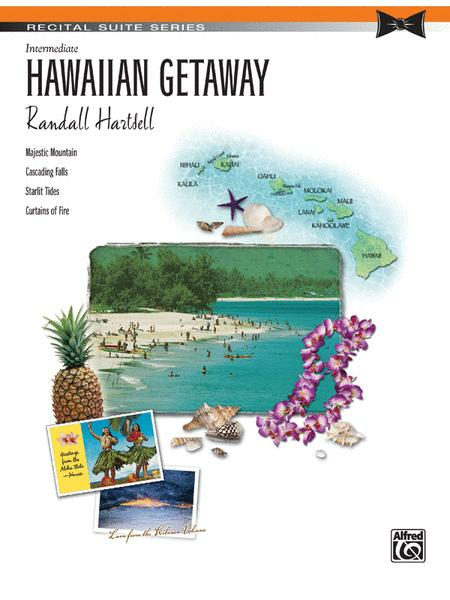 Take a musical vacation to the Hawaiian Islands. Erupting volcanoes, stunning mountaintop views, moonlit tides and crashing waves are all depicted. Contemporary harmonies are delicately woven in, giving the 4 movements a distinct feel.